“Bond, James Bond.” These are familiar words to several generations of thrill seeking movie lovers. It has now been over 55 years since Sir Ian Fleming introduced his master spy to the world. 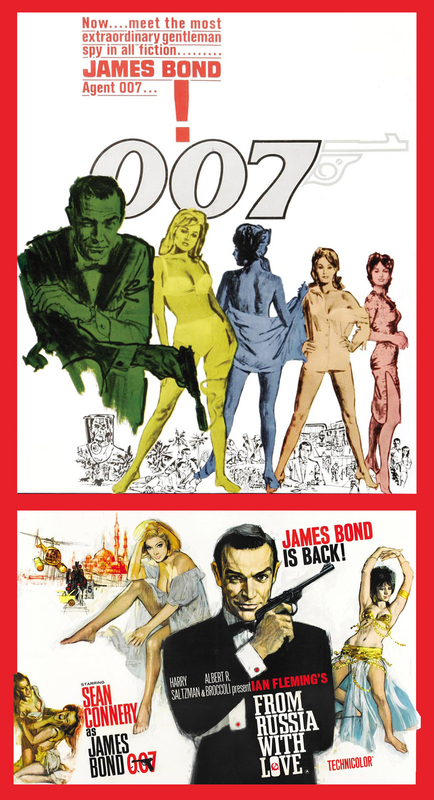 Today, everyone knows James Bond; Agent 007 is so embedded in our cultural landscape that nearly anyone seems to have a favorite “Bond moment”. 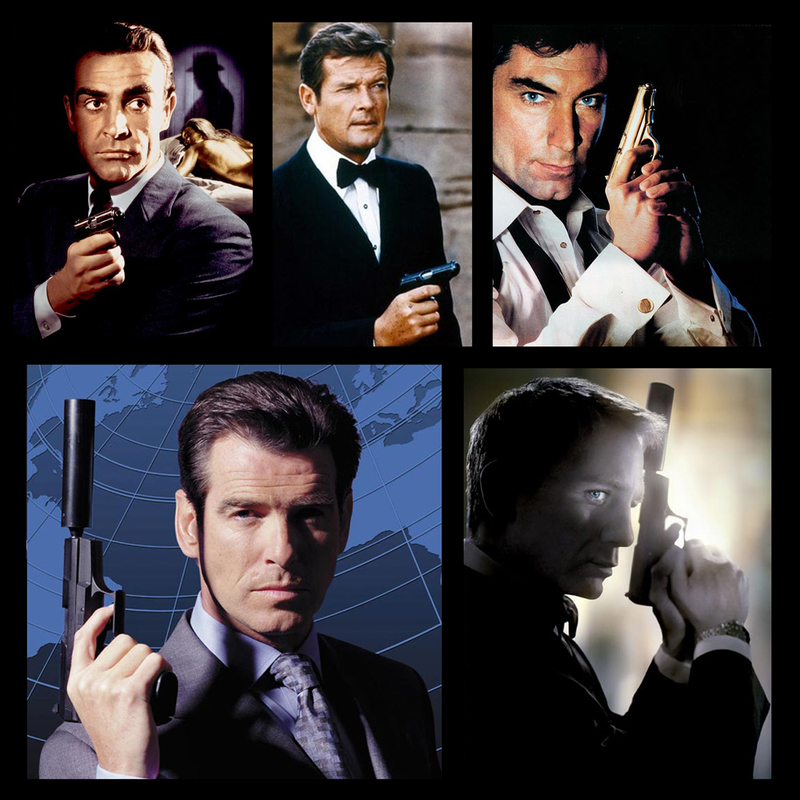 The man on Her Majesty’s Secret Service has been played by iconic actors such as Sean Connery, Roger Moore, Timothy Dalton and Pierce Brosnan. Most recently, Daniel Craig was casted as the best known and yet still enigmatic super spy. 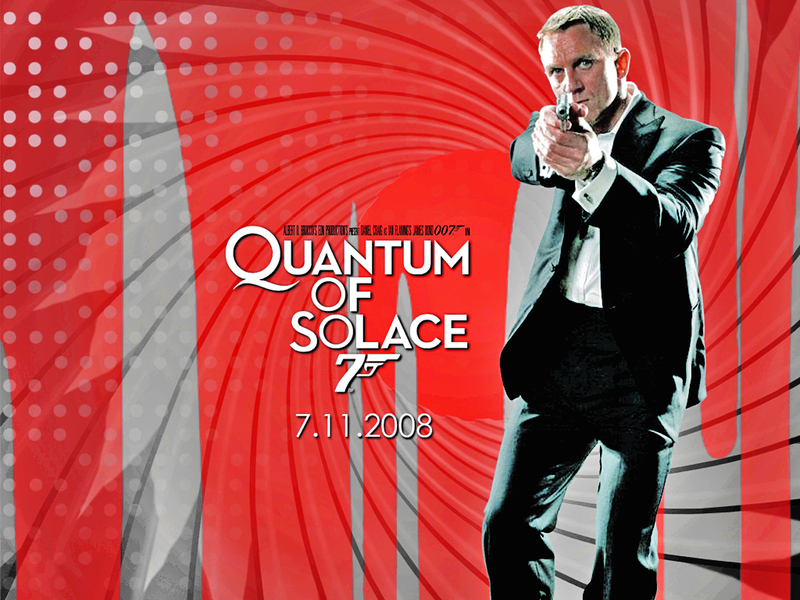 November 2008 will see the launch of the 22nd Bond movie, 007’s brand new adventure “Quantum of Solace”. 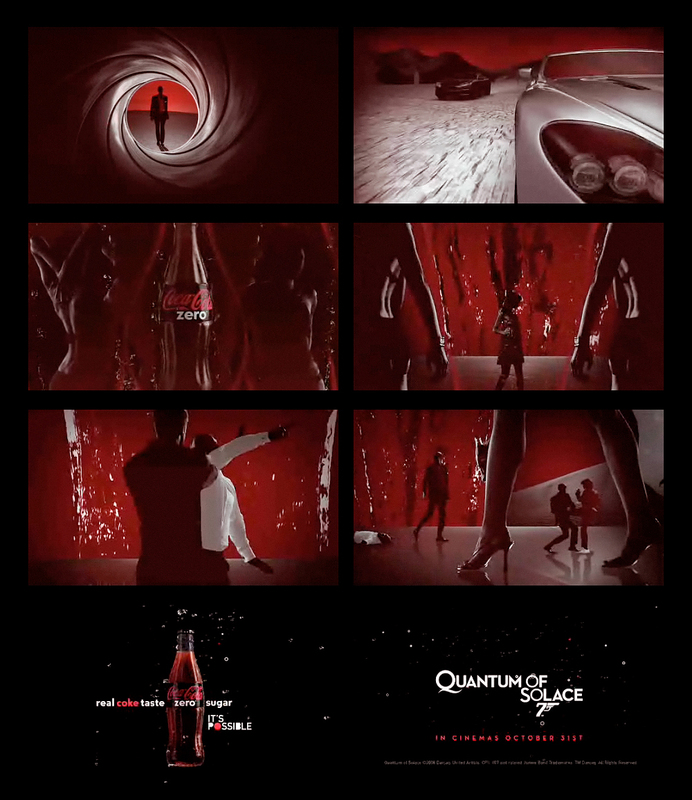 For “Quantum of Solace”, James Bond teams up with Coca-Cola Zero. This is the first global promotional partnership for Coke Zero since its successful launch in 2005. 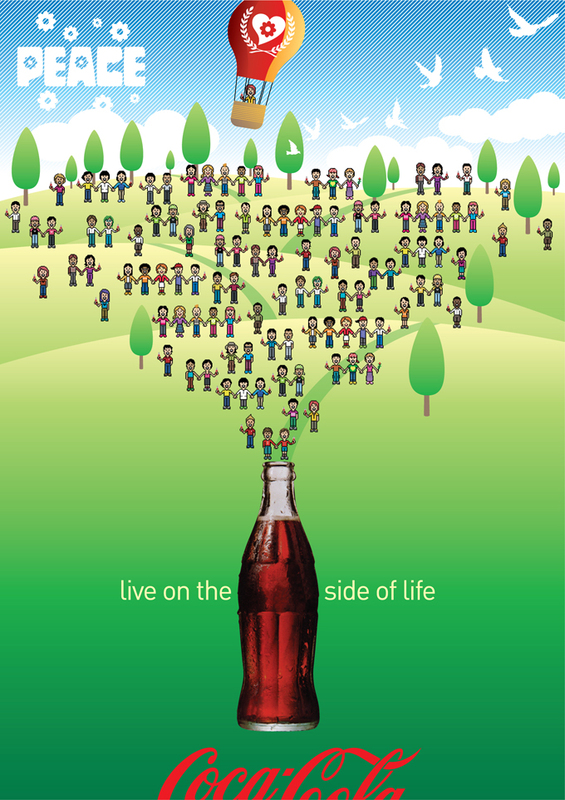 To promote this unique partnership, The Coca-Cola Company rolls out a fully integrated marketing campaign across 40 markets to support the partnership including print and outdoor advertising as well as retail, packaging and in-cinema activations. Wieden + Kennedy, Coca-Cola’s global advertising agency, also created a high-impact TV/Cinema spot to support the partnership. 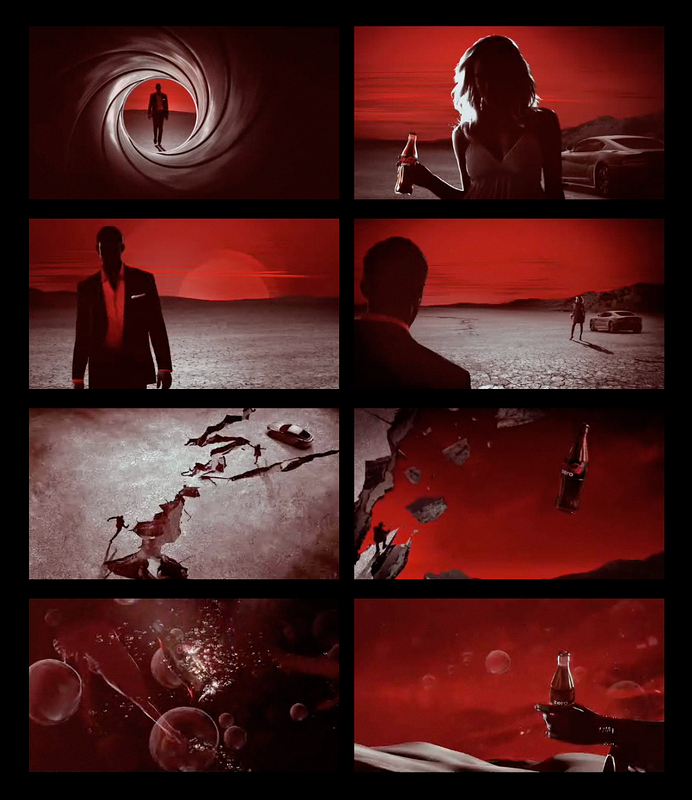 The “James Bond meets Coca-Cola Zero” commercial begins with a nod to the familiar gun barrel sequence that traditionally opens every James Bond film, with Bond as a silhouette walking through a barren landscape. 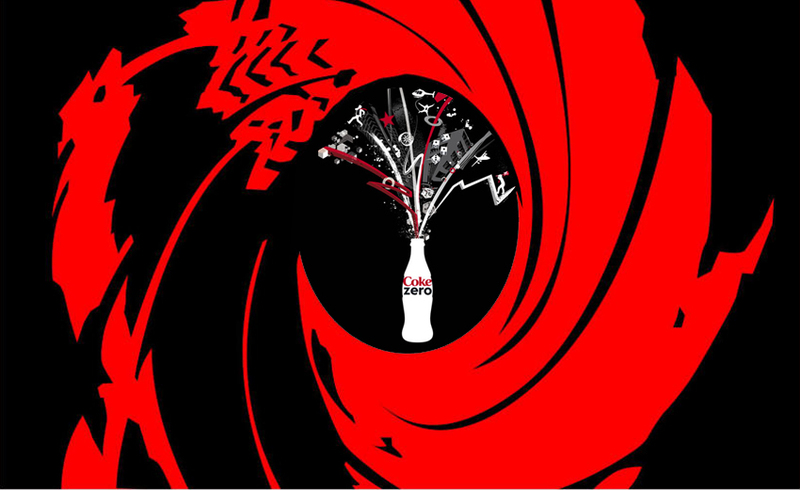 As Bond approaches a mysterious woman in order to retrieve the bottle of Coca-Cola Zero she holds in her hand, the earth cracks beneath their feet and the bottle is tossed into the air. The bottle and silhouettes, evocative of the famous Bond girls, swirl across the screen with images of bubbles and the bottle lands back in the women’s hand as she races off in a sports car. A chase ensues and the sports cars crisscross the landscape forming the familiar contour Coca-Cola bottle shape. Bond next overpowers several villains in an attempt to reach the girl and achieve his goal of recovering the Coke Zero bottle. The “Coca-Cola Zero Zero Seven” commercial also features an instrumental version of “Another Way to Die”, the Bond theme song by White Stripes frontman Jack White and R&B/pop goddess Alicia Keys. Togetherness – feeling connected to your family and friends, a community and the planet is the first step to tear down the barriers between cultures. Deep down inside, we are all social creatures who find our greatest fulfillment and happiness when we are connected in positive ways to the people that surrounds us. Perhaps this is our real goal: to feel good about our lives and share this feeling of happiness with others. In the 21st century global community, lives all over the planet intertwine more than ever through communication technology and the travel democracy. If nowadays generation is taught that our interpersonal, cultural differences are a rich heritage, a tribute to the unique character of our species, they will enthusiastically embrace diversity. 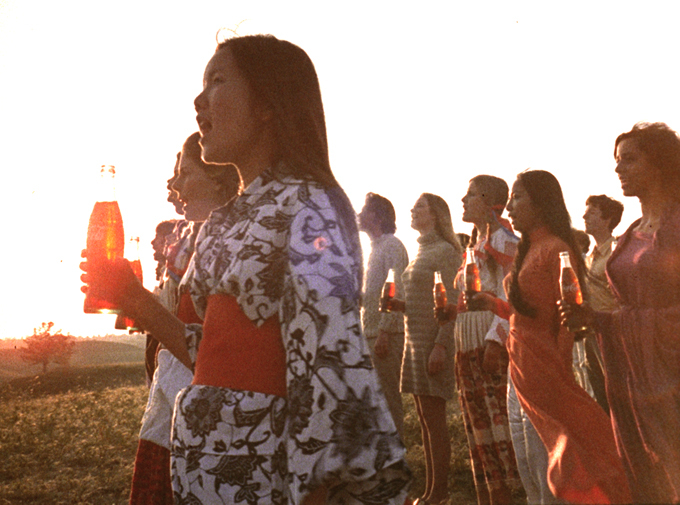 In many ways, we could say that ‘Coca-Cola’ has always embraced this idea: make the world a little bit better by passing on happiness by building understanding of and appreciation for the differences in human beliefs and cultures. By fostering the sense that, in the most profound way, we are all one family, the human family. 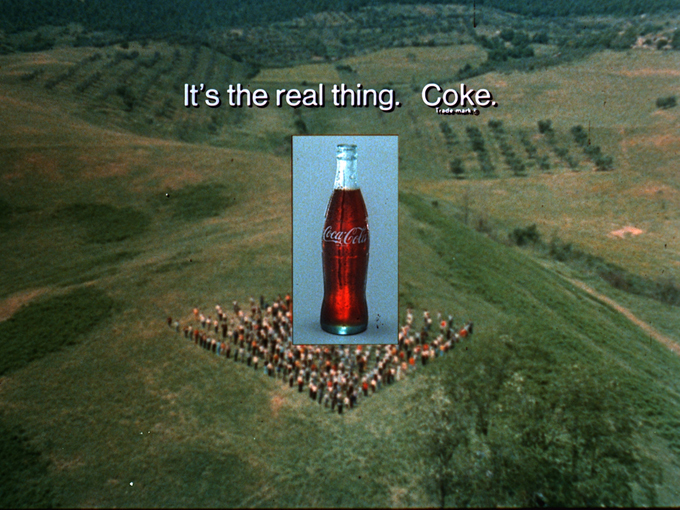 No wonder that ‘Coca-Cola’’s ‘Hilltop’ spot was one of the most successful TVCs ever produced. Its huge success can not be explained simply because the images were appealing and the tune catchy, but because the message taps into a profound, human longing for community. 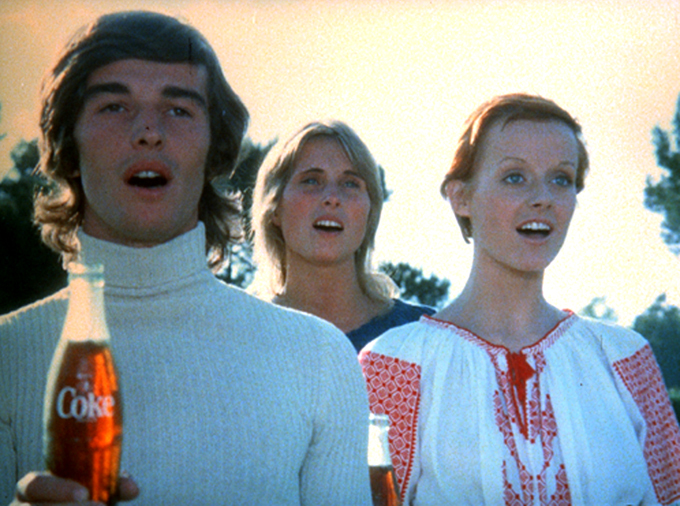 Here you can see the original Coca-Cola Hilltop commercial: I’d like to teach the world to sing. * Hilltop” is the first historical ad ever to be restored in High Definition (HD). It can still be viewed by the public as it was donated to the Library of Congress in Washington DC in 2000. * The international cast included actors from more than 20 countries. * The opening scene was shot at a horse racetrack outside of Rome forcing unusual camera angles during the opening scene as the director tried to avoid having telephone wires in the background of the shots; the rest of the commercial was shot on the hilltop. * Within 10 days of the U.S. release of “Hilltop,” The Coca-Cola Company received 10,000 letters from consumers thanking the Company for the message in the ad. Consumers also called television stations asking when the commercial was scheduled to air. 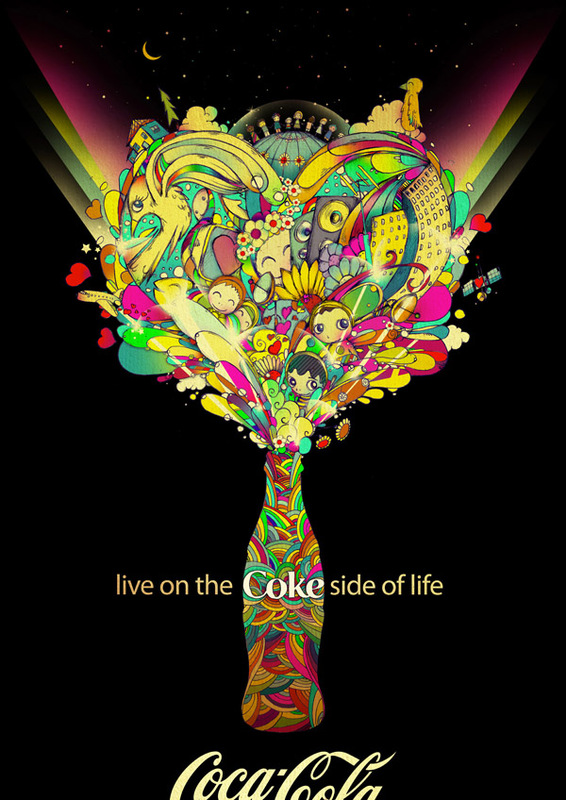 * The song “I’d Like to Buy the World a Coke” was written in less than 24 hours. * The cast did not actualy sing “I’d Like to Buy the World a Coke,” but rather lip-synced to a New Seekers recording. * “I’d Like to Teach the World to Sing” has been recorded and released more than 75 times since 1971. It’s most recent appearance on the top 40 charts was in a song performed by British tribute band No Way Sis’ in 1998. Four years earlier, Oasis used the song as inspiration for their hitsingle “Shakermaker”.